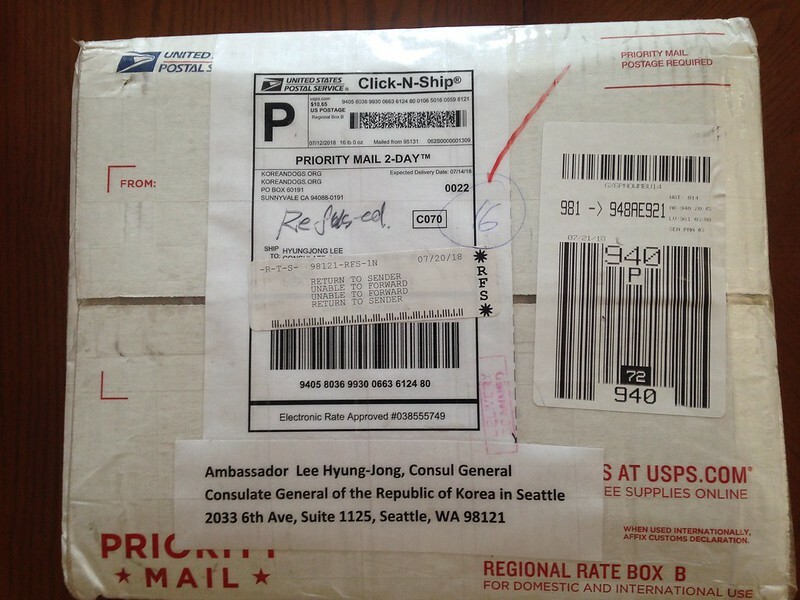 Home / Blog / Petition signatures from San Francisco Fisherman’s Wharf shipped to the Korean Embassy/Consulate. 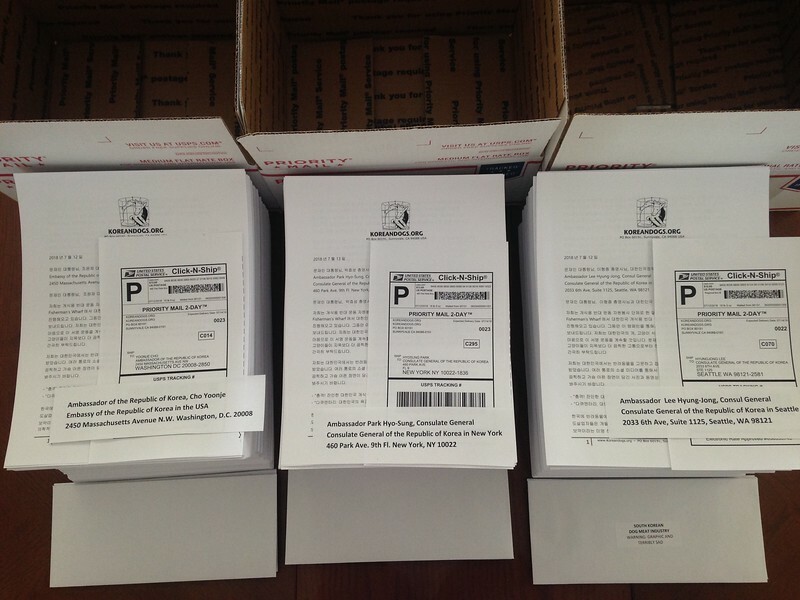 Update: August 15, 2018 – Seattle Consulate Generals office “Refused” our petition package and sent it back to us. 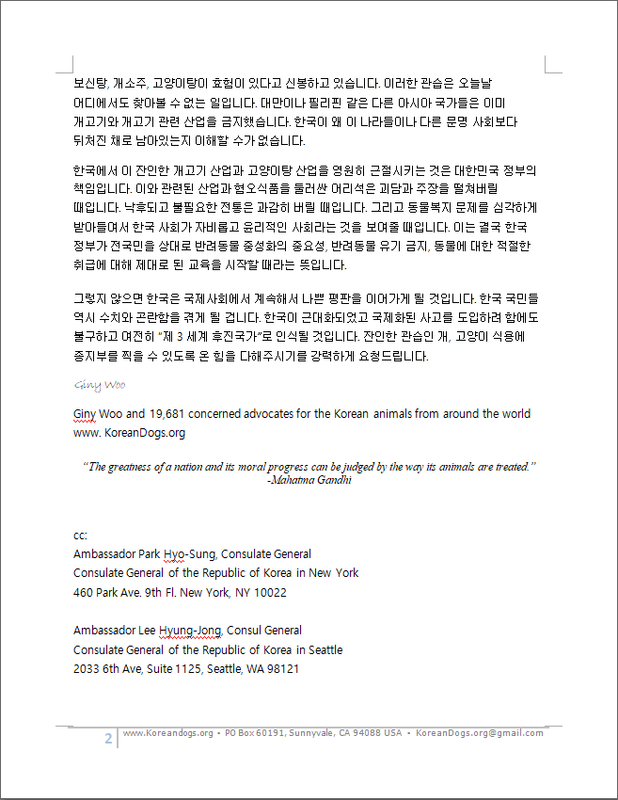 We have shipped packages containing the 19,681 petition signatures we had collected from our San Francisco Fisherman’s Wharf events to the Korean Embassy in Washington DC, the Korean Consulate in New York, and in Seattle, today. 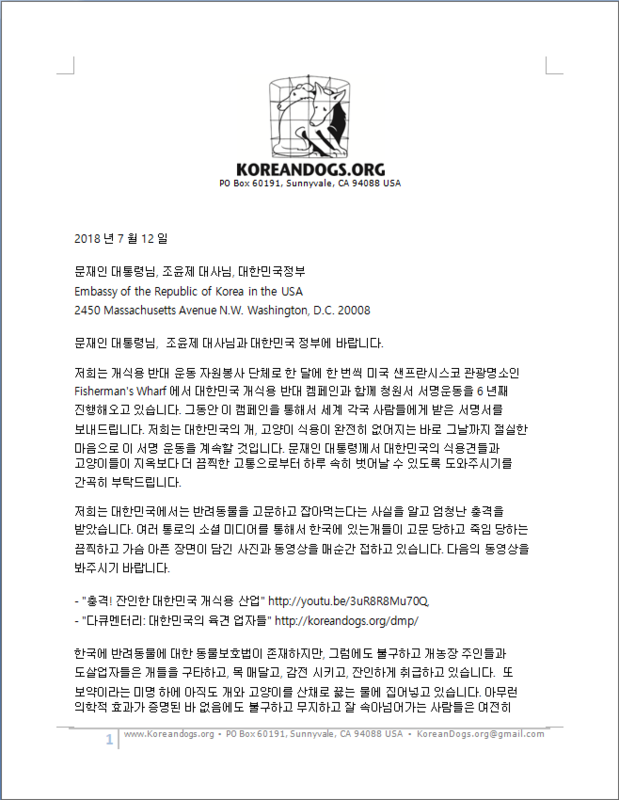 In the past several years, we have been sending copies of our petition signatures to various Korean government officials, including the Embassy and Consulate offices located in the U.S. 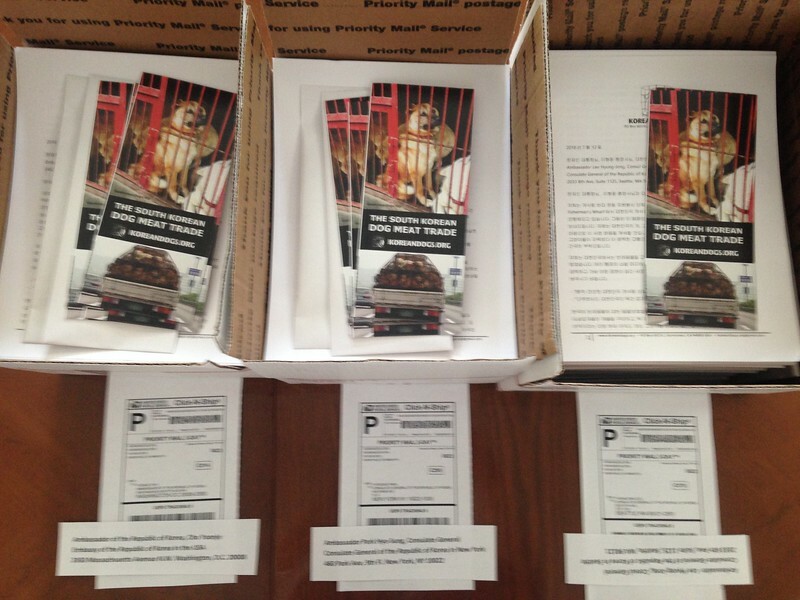 These shipments are to remind the Korean government that we will not stop our fight to save the Korean animals from the horrific and barbaric dog and cat meat trade, and that we stand in solidarity with the brave activists in Korea and around the world. Three Boknal days (dog eating is “traditionalized”) are Chobok on July 17, Joongbok on July 27, and Malbok on August 16. 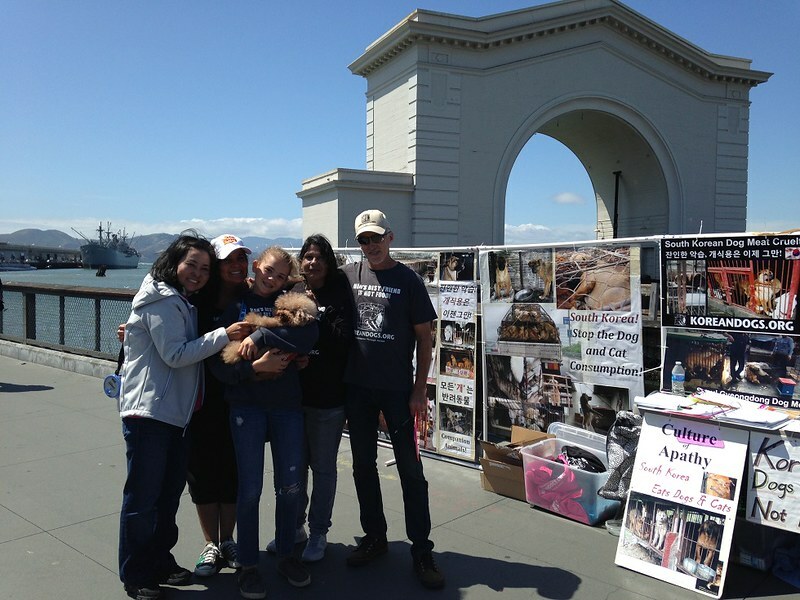 In mutual support of the Animals’ Battalion and “the Holmans” who will be holding demonstrations during Boknal at the Korean Consulate in New York, and in Seattle, we ask that you join us wherever you live, by participating in our Phone Blitz and lend your voice to the poor Korean Animals by calling the Korean Embassy in the U.S., the Consulate in New York and Seattle, as well as Korean government offices in your country. 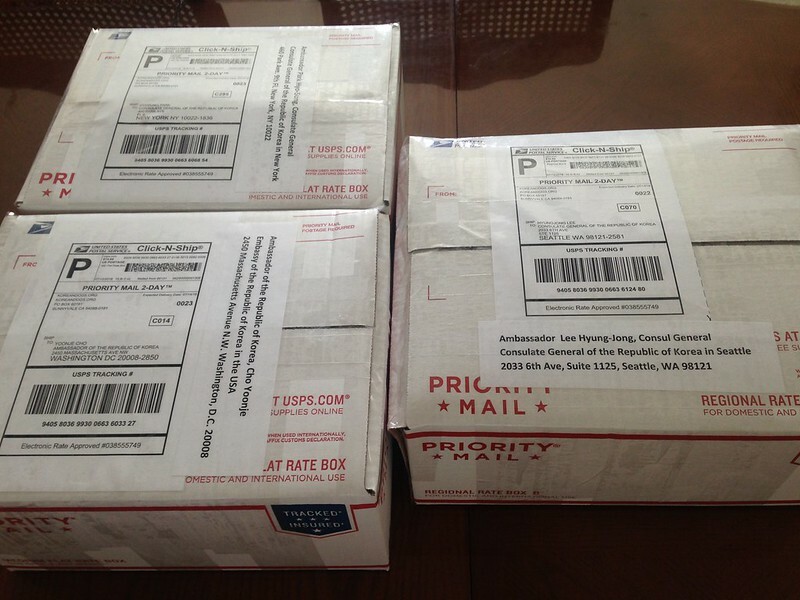 Please click HERE to learn more and join Phone Blitz. 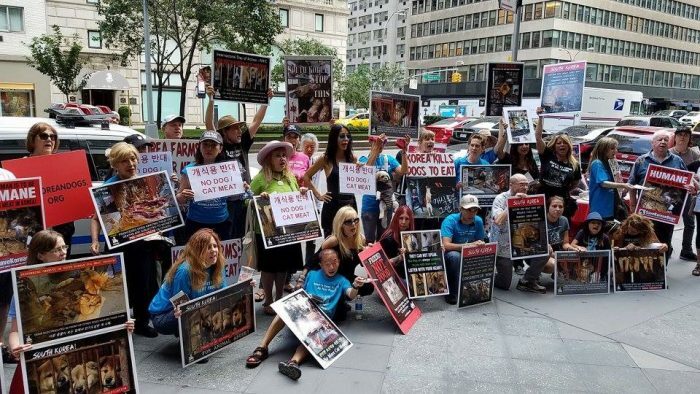 Photo: The Animals’ Battalion Demonstration on August 11, 2017 at the Korean Consulate General’s Office in New York. Photo: The Animals’ Battalion. Just goes to show what sad ignorant and rude people they are,shame we cannot stop their rubbish coming into out shops.